The three-day Lalon festival, which was began on Wednesday at Lalon Shah Shrine at Chheuria village, will end today, reports UNB. Every year, the Lalon Academy and Kushtia district administration jointly organise the festival in memory of legendry mystic bard Baul king Lalon Shah. The festival will feature Lalon Mela, discussion and musical soiree. On the occasion, the shrine of Fakir Lalon Shah has got a festive look where hundreds of devotees from home and abroad thronged. With Deputy Commissioner of Kushtia Aslam Hossain in the chair, Prime Minister’s Energy Adviser Dr Tawfiq-e-Elahi Chowdhury inaugurated the ceremony as the chief guest on the opening day Wednesday. Mahbubul Alam Hanif, local lawmaker of Kushtia-3 constituency, was also present as a special guest. A good number of floating vendors have set up different kinds of shops at the festival venue. Additional security measures have been taken in and around the venue as visitors can attend the festival. Police, Rapid Action Battalion (Rab) and plain clothed detectives have been deployed to ensure foolproof security. 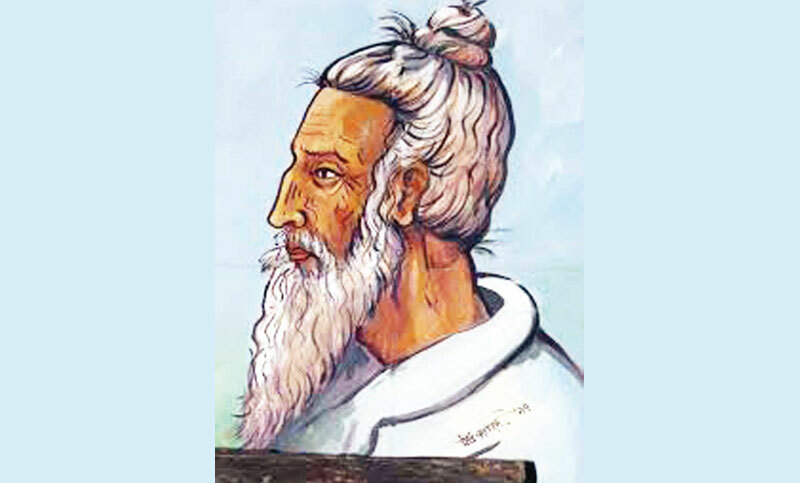 Lalon Shah was a Bengali baul, mystic, songwriter, social reformer and secular thinker who has become an icon of religious tolerance and secularism in Bengali culture.